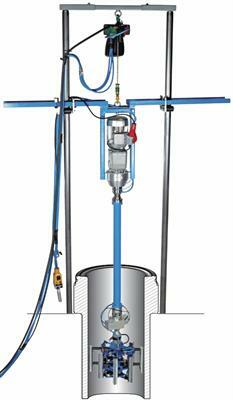 Portable machine complete with pneumatic hoist for on-site honing of cylinder liners. This process rectifies the shape of the liner, removes scuffing and restores surface cross pattern. It is easily operated directly on the engine or in honing rig. The powerful electric driving unit and pneumatically adjustable stone pressure makes for high honing capacity and the HON X can be outfitted with an optional module for automatic stroke control, making it the first choice for restoring 2-stroke engine liners.